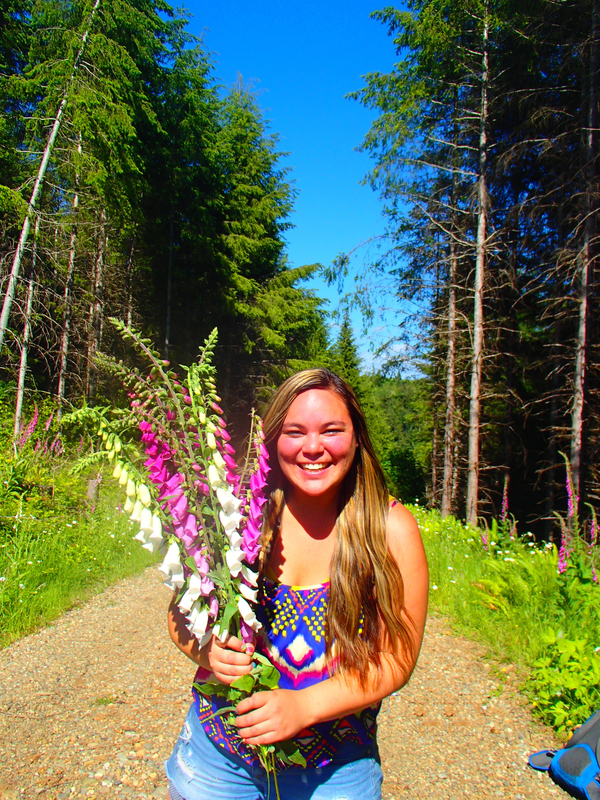 I recently enjoyed a restorative weekend camping near the Washington coast in Elma. Gazing up at the stars from the vast wildness expanse of Western WA is one of my favorite summer pastimes but since moving to Pullman, the 6+ hour drive isn’t something we can readily do each weekend. Instead, it made this trip much more special. 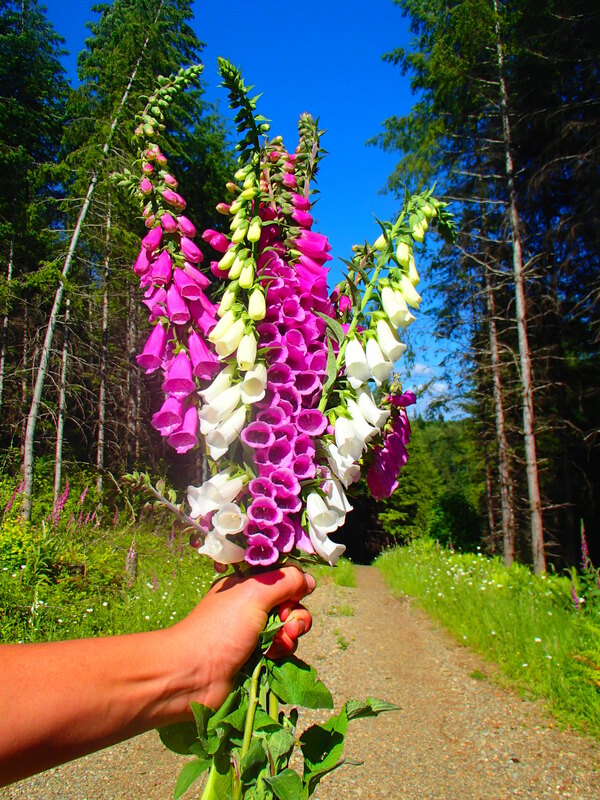 It had been nearly a year since we were back and I was so happy to see that the summer heat hadn’t stolen my favorite wildflowers yet: foxgloves. Their white, purple and pink flowers hang gracefully from their stems and remind me of a Pokémon from my past, Bellsprout. 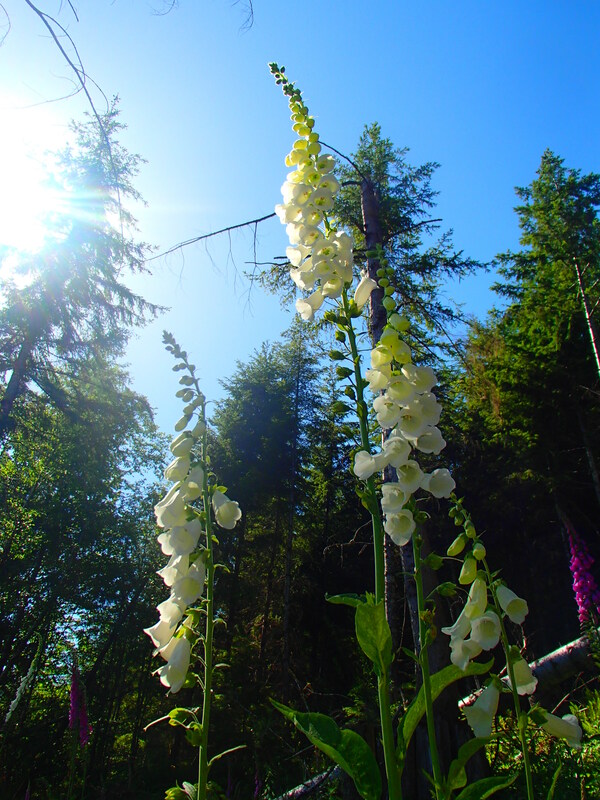 The white foxgloves are the most elegant flowers I’ve ever seen. I always want to handle them carefully because they look like glass that could break. But they are so much stronger than they look! I had to use a knife to cut some stems for a bouquet which was surprisingly tough. And the plants are hardy and persistent; they showed some great perseverance by climbing and inverting themselves anywhere they needed to in order to reach the sunlight. 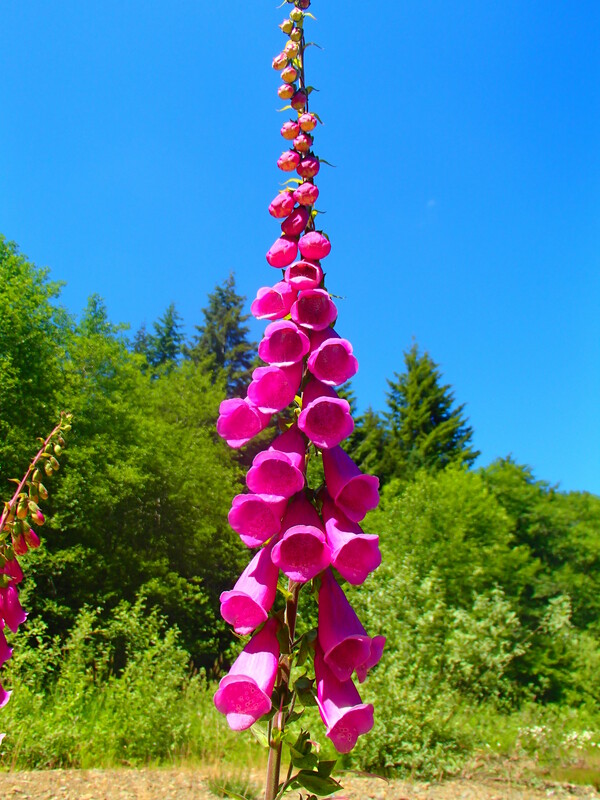 What beautiful flowers; what a beautiful day!